The new and improved XPD is a powerhouse when it comes to value. 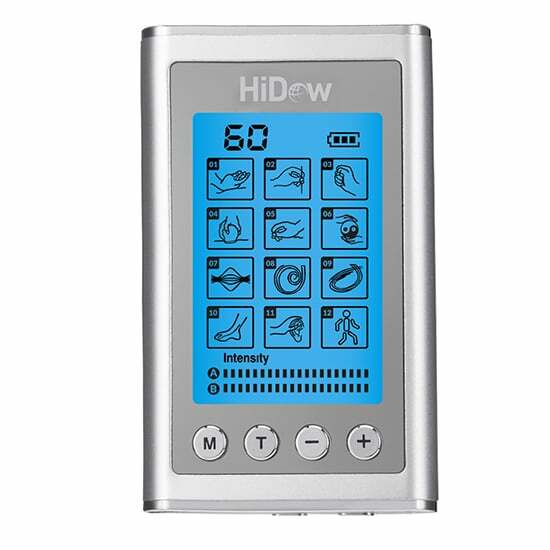 6 pain relief, and 6 exercise (EMS) functions make it one of the strongest units in the HiDow line up. The AcuXP-D is one of our bestselling units. It is made to ease sore muscles and relieve pain using Transcutaneous Electrical Nerve Stimulation (TENS) and Electrical Muscle Stimulation (EMS) technology. Physicians from all over the world have trusted TENS and EMS massagers since the 1960s making it the most sought out product for pain management solutions. That’s right, with the AcuXP-D you can relieve pain without medication and side effects. Our muscle stimulators have been widely recognized around big leagues such as the NHL. With EMS, athletes use them to prevent injuries that impede much-needed performance. No area is deprived of nutrition because blood flow is evenly distributed using our devices. Even Olympians stay on top of the game with the AcuXP-D to address their strained muscles. Yet, athletes are not the only ones who can benefit from the AcuXP-D. Office workers, laborers, and every day people can use the TENS and EMS technology. Enhance blood circulation and revive energy with the light pulses deployed by the AcuXP-D.